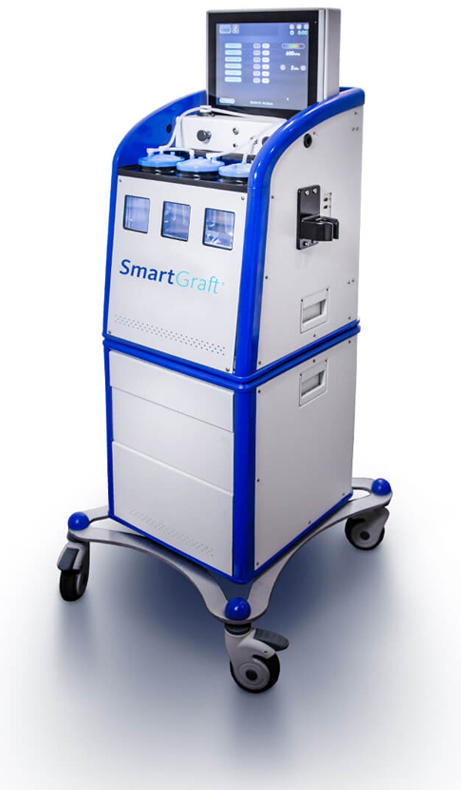 At SmartGraft, we not only provide expertly designed equipment for your minimally invasive hair restoration surgery, we also help you grow your practice and increase your revenues. We offer flexible payment plans plus marketing tools to effectively promote your hair restoration service offerings. Developed by physicians, medical scientists and engineers. The most advanced clinical education, led by seasoned hair restoration experts. 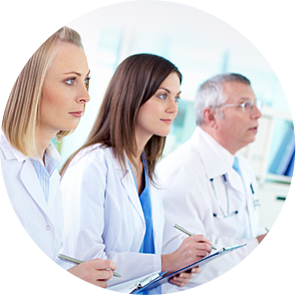 SmartGraft offers peer-to-peer training as well as on-site training for physicians, technicians and support staff. 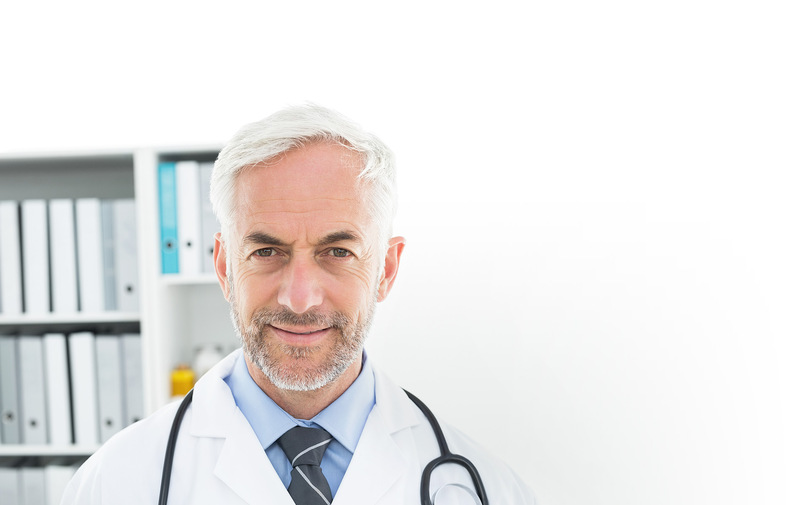 We have partnered with leading hair restoration physicians and technicians to establish “Centers of Excellence” facilities to assist in meeting your educational and clinical needs. We also support and participate in national and regional hair restoration educational workshops and meetings throughout the year. Whether you’re interested in training new employees or elevating your staff’s treatment potential with advanced tips and clinical pearls, you’ll get the support you need. Watch for additional training events throughout the year that are sure to rejuvenate your practice. We keep your hair restoration practice up and running. SmartGraft is made in America, and every reliable component that we have used has been meticulously chosen. 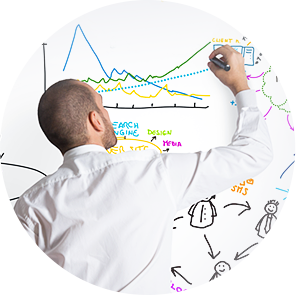 But if a problem were to arise, expect fast, responsive assistance from one of the most experienced teams in the industry. SmartGraft offers a toll-free technical support hotline and depot repair service ensuring response time within 24 hours. Also important, the SmartGraft system is backed by an industry-leading, comprehensive one-year warranty – protecting your investment and keeping your overall operating costs as low as possible. We have the tools to help spread the word about your hair restoration practice. By offering the SmartGraft FUE procedure, you truly have reason to spread the word. We will help you with online marketing, a customizable marketing kit, featuring multi-purpose ads, graphics, brochures, postcards, videos (included) and more to bring men and women experiencing hair loss to your practice door. Each SmartGraft provider gets access and licensing rights to powerful marketing tools and programs developed to entice and motivate patients to schedule consultations with you and your staff. 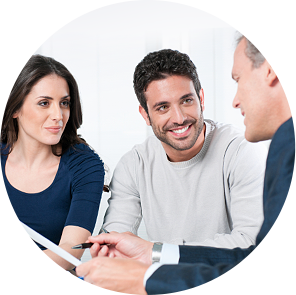 Low flexible monthly payment options help generate an immediate positive cash flow. We make it easier for your patients to purchase your hair restoration services. SmartGraft has partnered with patient financing companies to help you provide a simple payment solution for your hair restoration patients. They approve 40% more applicants than other existing patient financing companies and have more flexibility. Every SmartGraft system is backed by our SmartGraft Commitment. It’s a level of support and service that goes above and beyond, and it’s one more reason why SmartGraft is “The Smart Choice” for your practice. Creates a soft, clean and complete separation of the graft. You determine the depth and diameter of the extractions. Provides superior lighting of the follicular direction and count in the donor area. Engineered for punch attachment to go through handpiece direct to suction tubing. Is fully autoclavable, lighted, extremely reliable. Ergonomically designed to fit the contours of the hand reducing hand fatigue delivering comfort and control. Secure luer-lock connection to suction tubing for secure vacuum seal. Has tight gear tolerances for more precise performance drill is reversible allowing for easy and effective for use for left-handed users. 2 types of punches available allowing for a more customized procedure, inner and outer bevel. SmartGraft can be disassembled into two modules for easy and safe transportation, protecting your investment. Custom colors available for the SmartGraft System upon request. Once grafts are automatically sorted and placed into "Bio-dome" holding canisters, they are kept moist with a temperature-controlled sterile solution (mist or soak). This promotes graft survival prior to implantation, which improves their ability to regrow and provides better patient outcomes. Upon gentle extraction, grafts are automatically separated into a holding canister. This significantly decreases treatment time and increases accuracy in harvesting the necessary number of grafts. Speed of the rotation of the punch. Illumination of the surgical site. Irrigation and temperature of the graft-holding canister. Graft count by follicular units.